<What I wish I could unlearn from Star Trek TNG / 1: Women are equal to men. In theory. This piece is the second in a series of three about the things I wish Star Trek, specifically TNG, could have addressed differently. You can read the first piece about gender roles here. At first glance, the Prime Directive looks like an astonishing and humble moral posture: humans admit that they don’t know everything. They should mind their own business instead of imposing their views on others. They should respect the laws, cultures and values of others. They should not interfere with aliens whose development is under a certain level and allow them to develop naturally. First and foremost, let’s mention that despite this directive, characters often seem convinced that their way of thinking and of doing things is better than anyone else’s. On many occasions, they describe the alien values and ideas they are confronted with as outdated, comparing them to elements of the human past (Angel One S1E13, The Outrageous Okona S2E4). The humility that seemingly underlines the Prime Directive doesn’t necessarily extend to all Starfleet officers. In fact, the Prime Directive isn’t entirely based on humility, and the ideas which underline it are problematic (at least in an anthropological perspective informed by processes of decolonization). Let’s examine some of these ideas briefly. Listening to the way TNG characters talk about aliens cultures, one could think they are petri dishes: they must not be contaminated, the contamination must be undone, and observation must be conducted without interfering with the experience’s natural results. In other words, aliens cultures must be spied on in secret to preserve their natural evolution until they reach a point where one deems them ready to meet with members of the more advanced Starfleet. Although it could be interesting to see how a culture turns out if it is left undisturbed, it is arrogant to sit there and watch from the shadows, choosing by which criteria to determine if aliens are ready or not for first contact. That is essentially the plot of the episode Who Watches the Watchers (S3E4). Additionally, when considering human history, on which Star Trek stories are based, no culture ever really developed in a vacuum. Actually, the way a culture reacts to an encounter with aliens is just as revealing about its nature as how it might change over the following centuries. Although the Prime Directive emanates from “good intentions”, such as the desire to protect those who are weaker, it finds its roots in notions of western ideology which have been used to justify colonization and paternalistic attitudes towards various indigenous populations. The notion of a natural course of evolution that all cultures must move across is one which has served as an excuse to take control of societies, attempt to assimilate them, and even commit genocide. As some societies were deemed “primitive”, western colonial powers took it upon themselves to bring them “up to speed”, into modernity. In doing so, they conveniently stole their land, resources and rights. In fact, the so-called good intentions to help others progress were extremely damaging to the peoples who saw their culture denigrated and their children taken away to residential schools (see CBC archives) as was the case for indigenous peoples in Canada. Many colonial processes are still enduring today in different forms (see Idle No More). Despite the fact that anthropologists originally contributed to the popularization of the notion of a natural evolution of cultures with predetermined stages, they have long criticized it. It is no longer considered valid to “rate” cultures according to their political or economic system, technological level or other such elements. Sadly, just like the concept of race, evolution is still part of popular vocabulary and shapes attitudes, perceptions and even government policies. I am not saying that the Prime Directive should be about interfering with all life-forms. In fact, it’s probably not a bad idea to try to mingle with aliens who have similar technological levels: if anything, races who don’t develop warp drive might simply want to be left alone. The Prime Directive is the subject of much debate between Star Trek fans (see forums 1, 2 and 3) and isn’t interpreted or put into use in the same way by all Starfleet officers. Kirk, particularly, was a big believer in his own right to decide when to respect it or not. The directive concerns a great variety of contexts, and provides guidelines not only for first contact, but also to help officers manage situations regarding the laws and international affairs of aliens cultures. There are some good aspects to it (Symbiosis, S1E21), even if characters are sometimes quick to set them aside when they do not suit them (Justice, S1E7). Despite the few problems I find with the directive, it does, at the very least, express that Starfleet officers should not interfere with other cultures, no matter how superior they might think they are compared to it. It also teaches that this very conviction, being convinced one knows what’s best for others, is arrogant and can have disastrous consequences. That lesson of humility is one that western societies, and the ones who have suffered under their rule (and still do) would very much benefit from. For (very) detailed information about the directive, head over to the Memory Alpha wiki or Wikipedia. Marie-Pierre, do you have a sense of how the Prime Directive compares with current thought on ethical practices for anthropologists, human subjects protection, and the like? I’m curious how the fictional Directive matches up with (or even informed!) the guiding statements of real-world exploratory organizations. If anything, I’d think post-colonialism informed the creation of the Prime Directive by Star Trek authors. I don’t think it was the other way around, although it could have been in some small degree, or in some specific areas. We do know several scientistists and inventors were inspired by what they saw on Star Trek, and I my own interest in anthropology is linked to my interest in the franchise. But I’ve never read or heard anything about, for instance, the American Anthropological Association being inspired by Star Trek to change their ethical guidelines. As for the comparison between the Prime Directive and the contemporary ethical standards of anthropologists, it should first be said that each university and each professionnal association has its own. Their are great differences between North American, French, British, and other traditions. 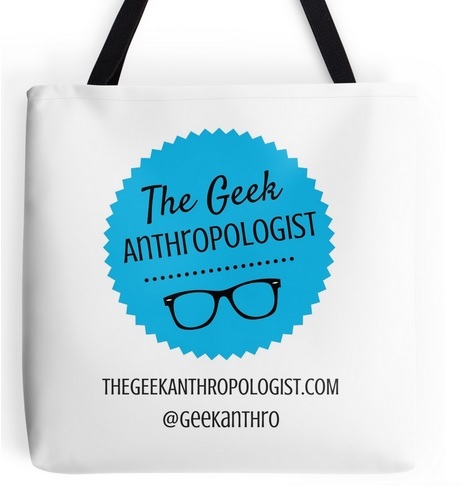 Anthropologists themselves have their own perspectives and ethical stances. Militant anthropology, decolonized research, ontological anthropology are a few recent shifts which make the Prime Directive look like a very pale attempt at political correctness. However, when compared to the past attitudes and ideas of anthropologists and other scientists, the Prime Directive appears as a major improvement. But what the Prime Directive trully reflects, I believe, is the shifts in popular thought more than the changes that swept social sciences. That is why it is full of contradictions, sometimes superfical and enigmatic: it reflects ongoing and non linear changes in ideas. Let me know what you think! And stop for stopping by! With the Prime Directive, I always thought that the main point was that the society to be contacted had to have warp capability in order to have official first contact. This is what the Vulcans had decided and why they didn’t officially have contact with Earth (despite a nuclear war decimating the planet) until the first warp signature was detected in 2063 (Star Trek: First Contact). Let’s turn the argument the other way. Would you let a 5 year old child drive a car? Would you let a 5 year old write a law about the medical use of marijuana? No, because they lack the physical and mental capabilities to do either due to their level of development and maturity. And letting a technologically-inferior species who may know nothing about warp drives or phaser cannons probably wouldn’t be the best people to let have those technologies, or to even introduce them to them. I have always felt that that is one of the main reasons for the Prime Directive. (“Too Short a Season” is an excellent example of a breach of the Prime Directive and its disastrous consequences). My criticism of the Prime Directive does not really concern the sharing of technology. And the notion of non-interference on which the directive is based is actually quite useful and, if anything, keeps Starfleet officers from imposing their views on others in many cases. Not messing with other people is good. Not sharing weapons with a society, especially if it’s riddled with war, is a great idea. Not sharing technology with people until they at least can understand how it works is probably best. I can’t say that, if I were the head of Starfleet, I would get rid of the directive. On the contrary, I would probably enforce it. I would, however, put it in a new context. Not only would I focus on the possible negative outcomes of interference despite good intentions, I would quite simply insist that there is not way one culture can know what is best for another. What I find problematic is what notions underline the directive: evolution as a linear process with technological progress as a necessary outcome, protection of cultures that are considered more “primitive” and gullible, etc. Even more problematic are cases in which the directive dictates not to interfere with the “natural development” of a culture even if it faces impending doom. Nothing guarantees that for cultures who have not yet developed Warp technology, meeting with aliens would necessarily be detrimental to their development. Trying to preserve the purity of cultures by letting them develop on their own and without contact with other cultures is a notion that finds its roots in Western ideas of purity, authenticity and conservation. Truth is, almost no cultures on Earth evolved on their own. Having been to a few non-first world countries, you can see some of the damage culturally, socially, and environmentally that other cultures have had on them. In areas like Indonesia, where islands had their own customs and religions, this has created some interesting things (such as mixture of religions); even Christianity shows this (easter eggs, Christmas trees). In Bali, Indonesia, for example, it has pretty much always been accepted for two men who are friends to show affection towards one another, including holding hands. It also has been acceptable to enter a homosexual relationship with another man or woman one finds attractive before you are married (and it’s rather ambiguous what happens after you are married). Yet Western society has come along and ruined this all… which makes one wonder whether the Prime Directive is a bad idea at all ha ha. I think you are right; it is a double-edged sword. Some cultures may grow for the better if they have exposure to other cultures, while others may be negatively influenced. It would take a lot of research and speculation to work out which would happen. This might be why Starfleet uses duck blinds while exploring a culture, like they did in “Who Watches the Watchers?” and “Star Trek: Insurrection”.